it would costs somewhere near these prices. and Silverstone's, you could fit a standard sized PSU in it. *Cheap and has most of the features those famous brands currently has. For this small platform, it has a good built-in audio. CPU that overclocks well with the Biostar Hi-Fi B85N 3D. rams. 8Gb with a 1600mhz speed is good enough to play current released games. 1Tb is I think a pretty good enough capacity for this build. 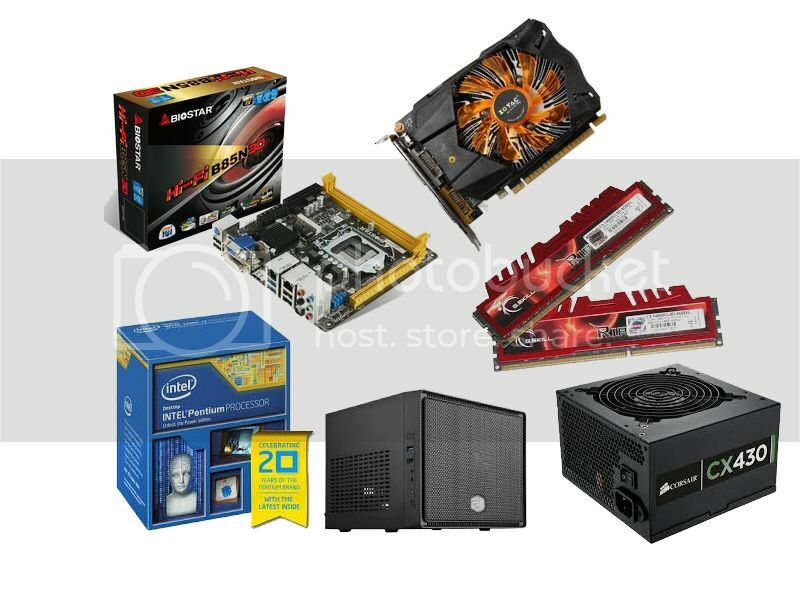 A budget gaming PC that can handle latest games @ full HD.